Thomas Bach, president of the International Olympic Committee (IOC), spoke highly of the preparation for the 2018 Winter Olympics in PyeongChang, Gangwon Province, at a news conference in Seoul, Thursday. “After the Sochi Olympics, the eyes of the world will be on you,” said Bach, who was elected to succeed Jacques Rogge as head of the IOC in September. During his first visit to Korea since he became IOC president, Bach, the 1976 Montreal fencing gold medalist, was briefed by the PyeongChang Organizing Committee headquartered in Seoul. 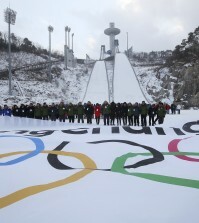 Bach said the IOC will try its best to ensure the success of the first Winter Games in Korea. There will be more opportunities for the organizers and IOC once the Sochi Games are over, Bach added. “When the Olympic flag is handed over to PyeongChang, you will feel great expectations and great encouragement,” he said. Bach said hosting the PyeongChang Olympics will have a great impact on millions of people in Asia. “We appreciate so much that Asia is embracing sports. Asia has been giving the sports world a new boost by organizing big events,” he said. 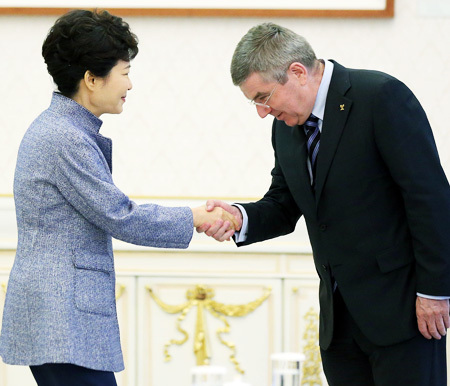 “You’re setting an example for the expansion of winter sports to Korea and to Asia. You will give opportunities to millions of people to get closer to winter sports. Bach said the IOC is also trying to spread the Olympic movement to young people in order to encourage them to participate in sports beyond consuming sports as viewers or computer game players. On a different note, Bach said Sochi will have the “toughest doping test” ever for the Winter Games, noting the IOC will have “no tolerance” of illegal drug use. 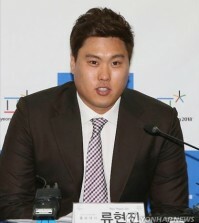 The message is expected to affect the PyeongChang Organizing Committee in terms of policy-making for the issue. Before he became the IOC president, Bach led the German Olympic Sports Confederation.